Lionel Messi’s family have hit back at claims from Diego Maradona that the 31-year-old wasn’t worthy enough to captain and play for Argentina again. 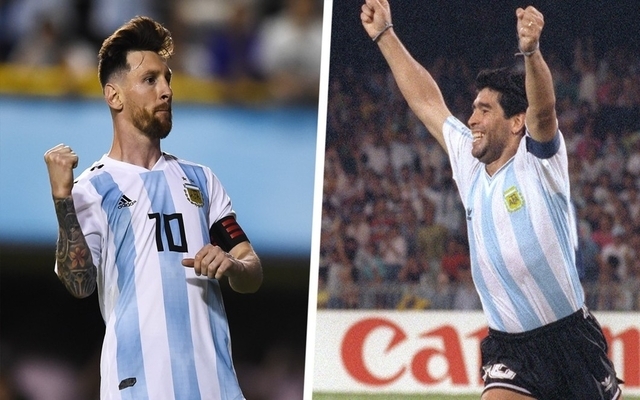 Maradona, who won the World Cup with Argentina in 1986 made the bizarre claim that it was a waste of time trying to turn Messi into a leader for the national team given that the superstar “goes to the bathroom 20 times before a game”. You can read Maradona’s outburst in full here. Messi’s cousin Maxi Biancucchi, a 34 year-old professional footballer with second division Paraguayan side Rubio Nu has hit back at Maradona’s claims branding the Argentina legend ‘ignorant’. This is according to a report from The Mirror. “It’s ignorant to discredit Leo. “It’s sad to see how someone who boasts of being a leader, can talk so badly about a player who’s currently the best we’ve got and will probably be so for a long time yet. 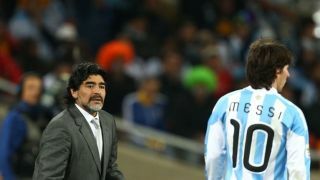 The feud between Messi and Maradona doesn’t seem to be coming to an end anytime soon. There have been question marks from fans over Messi’s dedication and desire when it comes to representing Argentina on the international stage. Some people think the best option right now is for Messi to retire from international football once and for all before things turn sour. It is a shame that two of Argentina’s greatest football icons have traded blows with each other over the years rather than offering to help stamp out issues within the national team.